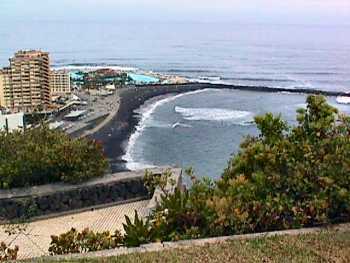 Martiánez swimming pools and Playa Martiánez in Puerto de la Cruz. 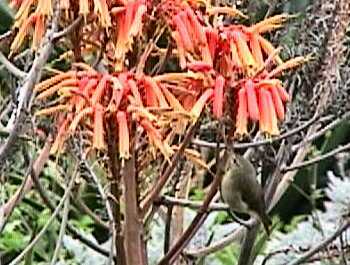 A little wren-like bird drinking nectar from orange "Tobacco Tree" flowers. Large (approx. 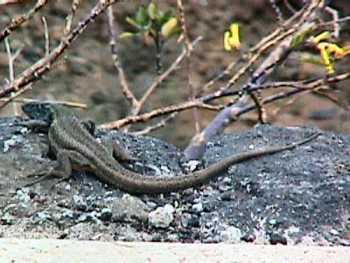 9 inches = 22 cm) greenish lizzard basking in the sun under a yellow Tobacco Tree. We walked past many banana plantations. 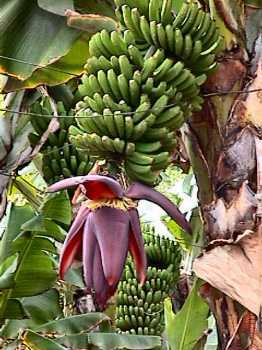 This is a banana flower on the end of a bunch of green bananas. 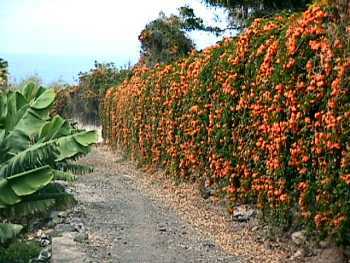 A banana plantation wall covered in orange climbing plant. 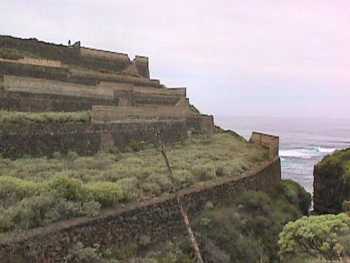 The terraced side of a barranco running down to the sea. The tiny figure up on the skyline is Bill photographing. 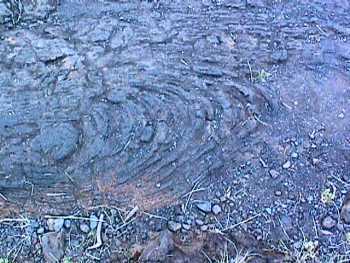 Pehoihoi lava with clear flow marks at the foot of the barranco. A Dragon Tree. This is not really a tree but a plant that grows several meters tall. 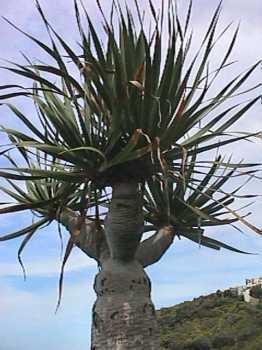 Dragon trees can live several hundred years but probably not thousands of years as is sometimes claimed. 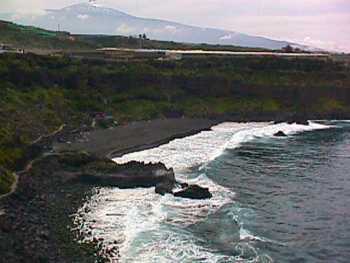 Playa Bollullo, a natural black lava sand beach. In the background is Teide. 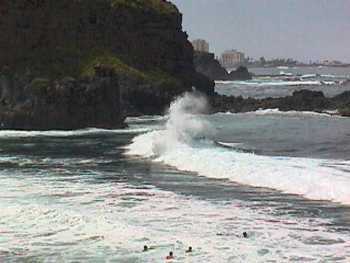 Despite the big waves, people were in swimming. In the background is Puerto de la Cruz. 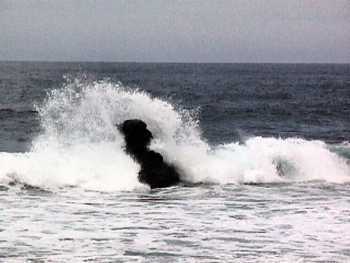 Wave breaking on a rock at Playa Bollullo.